There have been eight instances since the start of the day. Donetsk and Luhansk militants opened fire against the antiterrorist operation (ATO) troops on eight occasions only from midnight to 6 p.m., the ATO HQ said in its evening update. "The enemy has notably cut the number of fire attacks in all sectors. However, it did not stop using weapons banned by the Minsk agreements," it said. In the Mariupol sector, the militants fired in the direction of Krasnohorivka (a tank, an infantry fighting vehicle, 82-mm mortars), Novotroyitske and Vodyane (grenade launchers, small arms), near Luhanske in the Donetsk sector (mortars, grenade launchers) and near Makarove in the Luhansk sector. 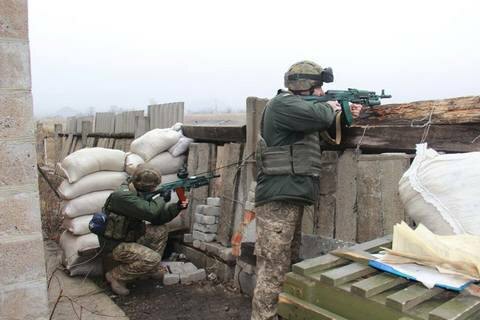 On 19 November, the militants launched 36 attacks against the ATO troops, wounding three Ukrainian servicemen. What opportunities does the EU's new travel authorisation system offer Ukraine?